Kindness II – go get it. I hear myself say, “I’ll never skip my morning routine again”. I know I will, but for now I’m so happy I’m back on track. It’s two different Johannas with or without it. Last week I was stressed, more reactive than proactive, and this week…I’m at ease. The difference is ocean wide. I got evidence for that if I’m kind and give myself the best possible start, I’m more kind to others. I start my mornings with meditation, and then I read one or a few chapters in a spiritual or personal development book. That’s it at the moment. I’ve tried all sorts of things, and previous I’ve done Hal Elrod’s Miracle Morning, and I loved it. I will for sure revise my morning practice during my vacation, and see what the best start will be. Talking about revising practices and my upcoming vacation brings me to what I started yesterday. It’s time for the 6 month review of 2016. Normally I just go through my mission statement and my vision for the year to see if it’s still the path I want to take. Then I go through my goals in each category in my life. It’s a process. The key is to give it time, and to enjoy the process. To have fun with it, play, and brainstorm to plot out the best route. But this year’s a little different. For 6 months or so I’ve been longing for this book by Danielle LaPorte ‘The Desire Map – a guide to creating goals with soul’. It’s been speaking to me, and so I ordered it for my 6 month review. I started reading it yesterday when I spent 8 hours at the beautiful spa Yasuragi (I know 8 hours! It was absolutely life-affirmingly lovely). Before starting my review and the re-planning of 2016 I will do her exercises. I can’t explain it, but something within me is evolving, changing, transforming, and calling for a huge session of going back to to the core. Digging deep. To be still, and let whatever come up be there. The Bead Movement has given me tons of valuable lessons, but one of them is that our time is limited. And I don’t have time to not live my truest and best me – for both myself and the people in my life. This book will give me just what I need right now. I know it. There’s a part of me (or a new project) that is coming up to the surface, starting to form, or at least I can feel it bubbling to be formed, and I need to let it and/or myself get the best possible chance to bring it or myself to fruition. Danielle’s language speaks to me. I’ve been following her on Instagram, getting her newsletter and digging deep in her ‘Fire Starter Sessions’. She talks right to my soul. She uses one simple question to guide you to the core of your life – “how do you want to feel?”. To give yourself the gift of what you are deeply longing for is key to live a fulfilling life. If you cut off your deepest desires, what your heart and soul crave for, you’re letting yourself down. You’re choosing a life smaller and less vibrant than what your heart desires. So what do you need? Treat yourself, give yourself whatever it is you’re wishing for, and treat it as the treasured gift it is. Your heart and soul will thank you. And I bet the people around you will too. Cause if we aren’t our best selves, how can we possible be good to others. Kindness is an inside job. So let’s all pitch in. My gift to myself is time to dig deep this vacation with Danielle LaPorte. 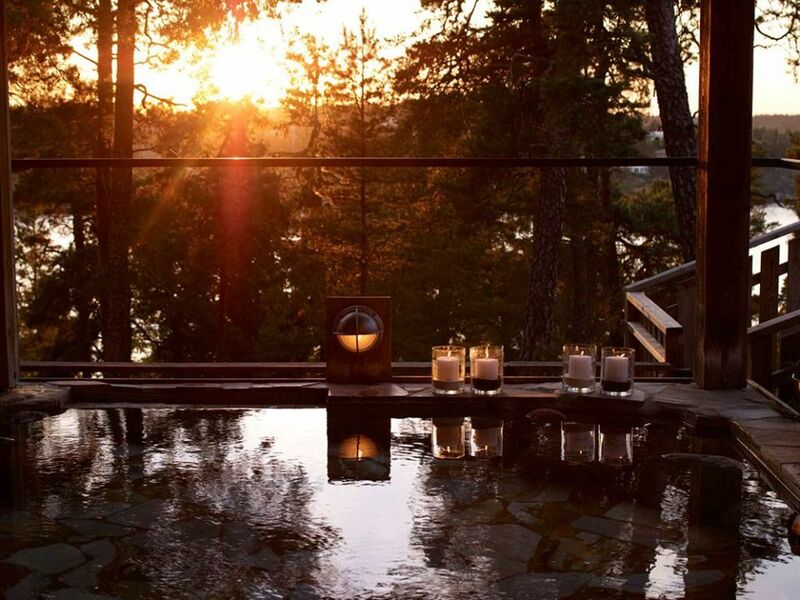 In a summer house by the water in Finland I will read, journal and get to the bottom things. I can’t wait! Let the digging deep begin!